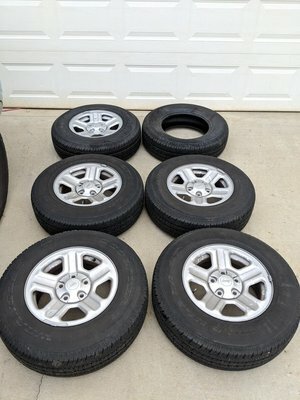 Selling a set of Jeep JK wheels. 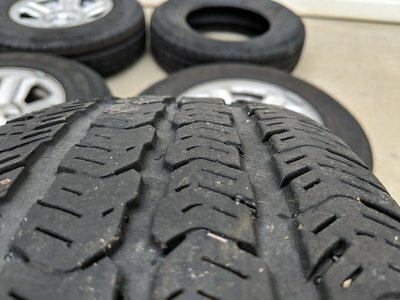 These are factory tires and wheels removed to put in Rubicon style wheels and tires. 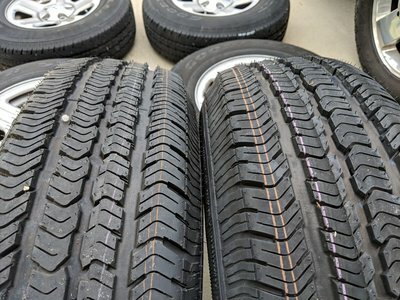 4 tires/wheels are used and treadwear is the same on all 4 as shown in one picture. 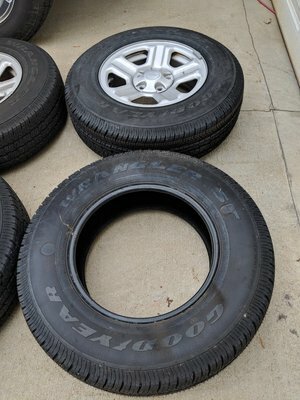 1 wheel and 2 tires are brand new...still have stripes on tires as shown in picture.